Aaaand after a full day, it would be a shame if we ended the night quietly at home. A little group of us headed downtown, replaying Chase Rice’s “We Goin’ Out” no fewer than 8 times as we got ready. To add to the perfection of the weekend, Friday night is Country Night at my favorite bar :) Country music, line-dancing, yard jar drinks. People in cowboy boots and hats. Why does a cocktail taste so much better in a mason jar?! On Tuesday I’ll have to share some of my “Extra-Credit Exercises” for the week after an extra-fun-but-not-so-healthy weekend like this one. Speaking of which, it’s time for SUNDAY LONG RUN. 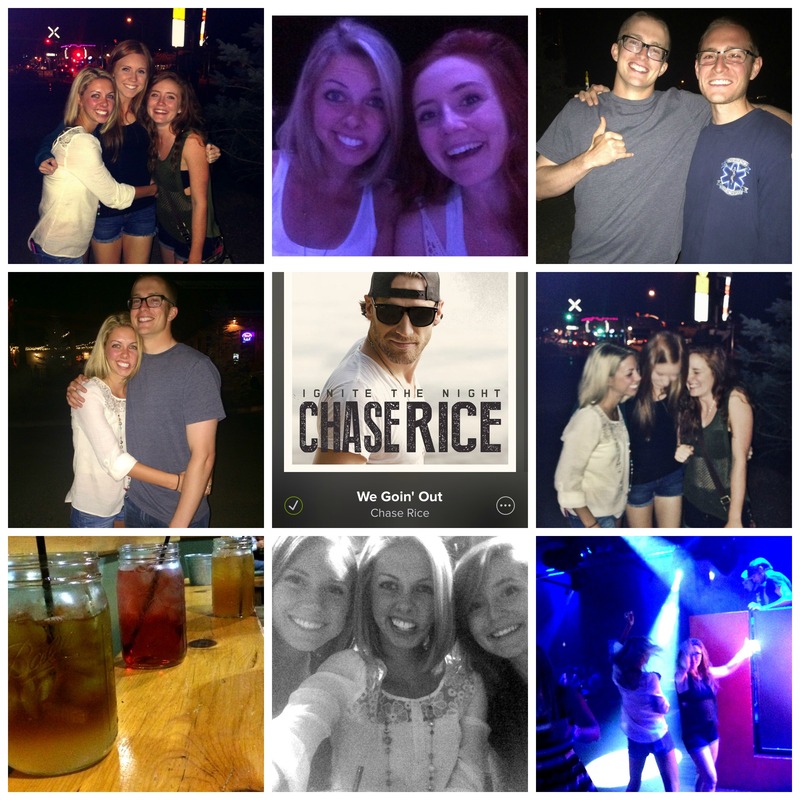 Posted on August 10, 2014, in Blogging, College, Healthy Habits and tagged best friends, college, concert, country night, nature, picnic, summer. Bookmark the permalink. 2 Comments.